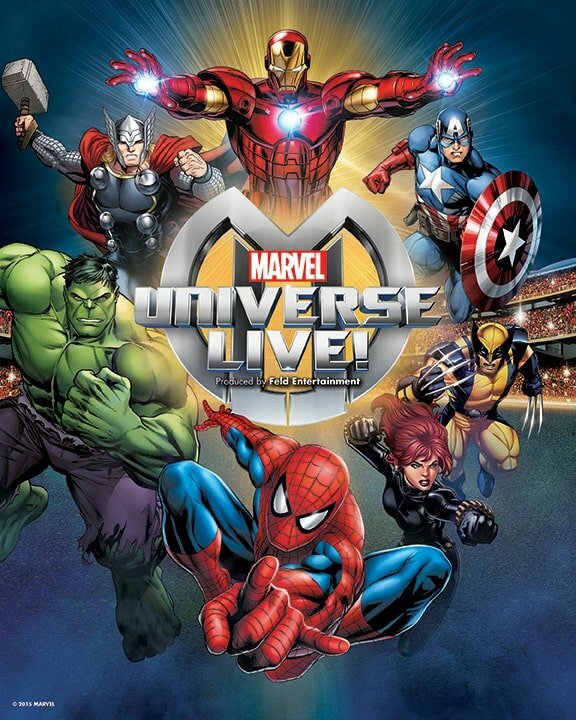 And the winner of the Marvel Universe Live giveaway for a family pack of 4 tickets is…. Congratulations, George! Our contest organizer has reached out to you to make arrangements for your tickets. For those of you who don’t have your tickets yet, we have an exciting announcement today! There is a special 20% off sale running today through April 5th! This 20% off sale applies to all non-premium seating. There is a maximum 15 tickets per order and this offer is not valid with other discounts and/or opening night discounts. To take advantage of this limited time offer, simply use the code BLOGCA during checkout. Here are the dates and locations for all of the Canadian shows. Simply click on the highlighted city names to be directed to the show you are interested in attending. The Marvel Universe Live show is going to be the talk of the summer and you don’t want to miss it! You can follow this excitement on the Marvel on Tour social media pages: Facebook, Twitter, Instagram, and YouTube plus join their newsletter for special announcements. Does your little one love to dress up like a Marvel superhero? Are you excited for the show? Do you have a special countdown calendar? Share your excitement on social media using the hashtag #MarvelUniverseLive!